Dr Kylie Marks is a specialist trainee in Obstetrics and Gynaecology (ST6) in the Yorkshire and Humber area. She has a special interest in labour ward, simulation and high-risk pregnancy. 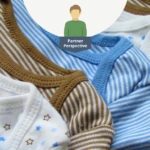 Why will your baby need monitoring during labour? What equipment is used for fetal monitoring? How are the different types of monitoring performed? What is the likelihood that you'll need continuous monitoring? How will you be monitored during a water birth or home birth? Why may your baby's heart rate dip during labour? What is fetal blood sampling and why may it be needed? The process of childbirth represents a time of great physical stress on both the mother and her baby. Despite the fact that babies are very well designed to withstand the physical challenges of labour, there are certain circumstances where a baby may become distressed during labour. It is therefore important that your healthcare professional (midwife or obstetrician) is able to monitor your baby’s wellbeing throughout your labour by listening to the baby’s heart rate. They are looking for early changes in baby’s heart rate that might suggest they are not getting enough oxygen during or after contractions. For women who have had an uncomplicated pregnancy, this monitoring in labour may only be required intermittently, whereas women who have certain medical conditions or whose pregnancy has been characterised as high risk will be recommended to have continuous monitoring with a baby heart monitor – a cardiotocograph (CTG), also commonly known as an electronic fetal monitor (EFM). There are both maternal (mother) and fetal (baby) conditions that predispose a baby to become distressed in labour. Pre-existing conditions such as diabetes, heart disease or high blood pressure require increased surveillance in labour. Other conditions that have arisen in the pregnancy and labour such as induction, prolonged rupture of membranes, bleeding, pre-eclampsia or infections also require continuous heart rate monitoring. Some babies also have a reduced ability to cope with the labour process; these include small babies, multiple pregnancies (twins), babies with less amniotic fluid or premature babies. There are several ways your healthcare provider can monitor your baby during your labour. 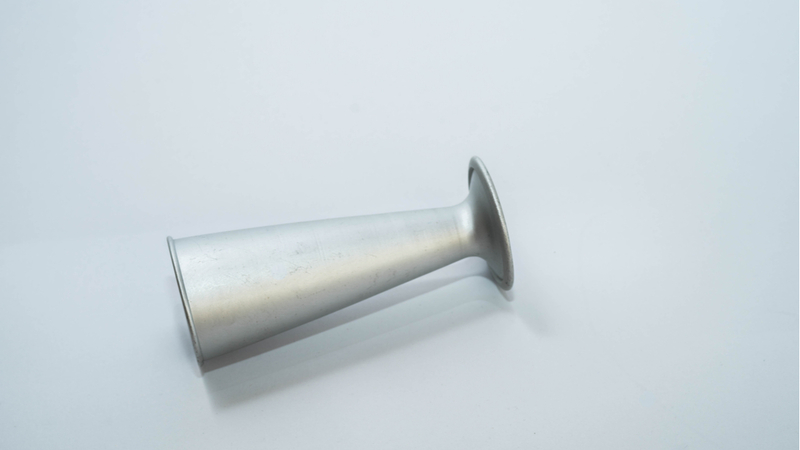 Traditionally, the fetal heart rate was listened to using a Pinard, (image 1), a special type of stethoscope developed by a French obstetrician in the 19th century. It is placed on the pregnant abdomen and the practitioner listens by placing an ear to the Pinard. This technique only enables the practitioner to hear your baby’s heartbeat. Today, this technique has largely been replaced by the Doppler (see image 2 below). 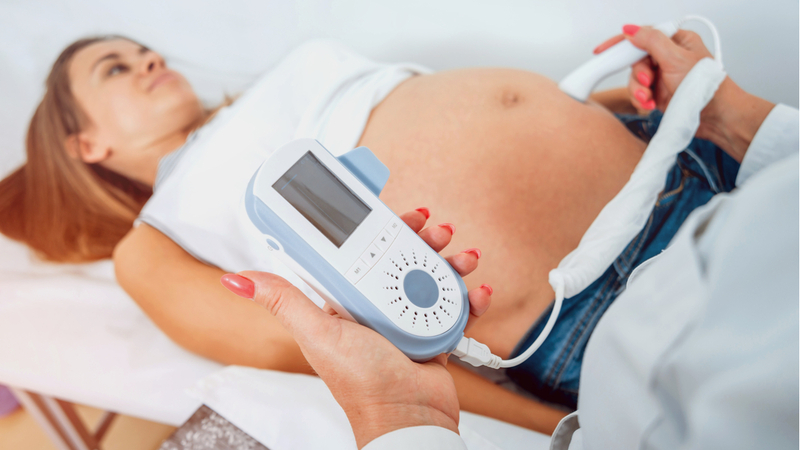 A Doppler fetal monitor (also commonly known as a sonicaid) is a handheld ultrasound that detects an audible heart rate. It works by receiving reflected high-frequency sound waves, much like how an ultrasound produces a visual image of your baby. Both the Pinard and Doppler are used in women undergoing intermittent monitoring. If you require continuous monitoring, this will require the use of a CTG. The CTG uses the same technology as the Doppler to listen to your baby’s heart rate with the addition of monitoring the frequency of your contractions. This occurs via two transducers that are attached to your abdomen with elastic belts. The baby’s heart rate and frequency of contractions are then recorded onto a piece of paper continuously throughout your labour. This allows practitioners to analyse the pattern of your baby’s heart rate and watch for signs of fetal distress. Intermittent auscultation is usually performed with a fetal Doppler. During the first stage of labour (onset of contractions until the cervix is dilated to 10cm), your practitioner will listen to your baby’s heart rate for one minute immediately after a contraction and then repeat this every 15 minutes afterwards. This will be recorded on a partogram (record of labour). During the second stage of labour (from full dilatation of the cervix to delivery of the baby), the frequency of monitoring is increased to listening to the heartbeat every five minutes. Continuous fetal monitoring will occur constantly throughout your labour. Once your labour is diagnosed, you will be connected to the CTG monitor and your baby’s heart rate will be recorded. An assessment of the recording will be performed every hour or earlier if any concerns arise. Some women worry about their ability to remain mobile while attached to the CTG monitor, and this depends on what resources your local maternity unit has available; there are wireless CTG monitors available which allow for you to remain mobile. Image 2: A fetal Doppler being used on a pregnant woman. What is the likelihood that you’ll need continuous monitoring? 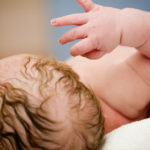 If you’ve decided to have a home or water birth, it is very likely that you are at low risk of complications and suitable for intermittent auscultation. Modern handheld fetal Doppler monitors are waterproof and suitable for use in a birthing pool. In certain circumstances where a mother requires continuous monitoring with a CTG but wishes to deliver in a birthing pool, a wireless waterproof transducer can be used. This is very dependant on your local maternity unit’s policy and availability of suitable CTG machines. CTGs are only available in hospital maternity units. If you are planning a home birth but require continuous fetal monitoring in labour, it is likely you will be advised to deliver in a hospital. Why may your baby’s heart rate dip during labour? It is very common for a baby’s heart rate to decelerate or ‘dip’ during labour; it does not always mean your baby is distressed. During a contraction, the exchange of oxygen across the placenta is interrupted. Babies are designed to have an adequate reserve to be able to cope with this process. Part of the normal response can be for babies to reduce their heart rate, but this usually recovers very quickly once a contraction has finished. It is only when the drop in heart rate is slow to recover or associated with other abnormalities on the monitor that further investigation may be necessary. Even if your baby has an abnormal heart rate pattern on the monitor, this isn’t diagnostic that baby is not getting enough oxygen. It does, however, alert your practitioner to the possibility that baby is distressed or their oxygen levels are becoming low. It is not always possible to know just from looking at the CTG; therefore, further testing of your baby may be necessary. Depending on the stage of labour, such as how far dilated the cervix is or if the membranes have broken, a small sample of baby’s blood can be taken to confirm whether or not they are receiving enough oxygen. This is called a fetal blood sample. It is performed by taking a very small drop of blood from the baby’s head through a speculum and testing the pH. If the test is normal, then labour can continue. If it is abnormal, then immediate delivery is recommended either via a caesarean section or an instrumental delivery. The purpose of monitoring is to ensure your baby is getting enough oxygen during and after contractions. Women who have had an uncomplicated pregnancy may only require intermittent monitoring during labour, but women who have faced complications, including those with conditions such as gestational diabetes or high blood pressure, will be recommended to have continuous monitoring. A cardiotocograph (CTG), also known as an electronic fetal monitor, will be used if you require continuous monitoring throughout labour. You will be connected to the CTG via two transducers attached to your abdomen. The CTG will record your baby’s heartbeat onto a piece of paper. This recording is analysed every hour. If continous monitoring is not required, your healthcare provider may use a Pinard to listen to your baby’s heartbeat, which is a special type of stethoscope that is placed on your abdomen. More commonly used nowadays in a Doppler fetal monitor (or sonicaid), which is a handheld ultrasound that detects an audible heart rate. During the first stage of labour, your practitioner will listen to your baby’s heart rate for one minute every 15 minutes after a contraction. 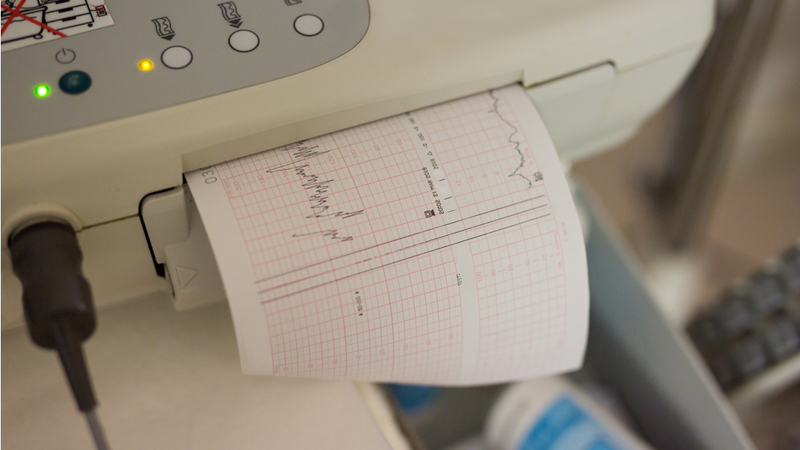 During the second stage, baby’s heartbeat will be listened to after every contraction. Even if you’ve had an uncomplicated pregnancy, unexpected circumstances may arise during childbirth that may require continuous monitoring with a CTG. These include if you have a high temperature, you experience severe pain or bleeding, or your baby has passed meconium (their first poo) in the womb, which can cause them distress. If you’ve chosen to have a home birth or water birth, it’s likely you’re at low risk of complications, so a Doppler is a suitable method for fetal monitoring (modern Doppler monitors are waterproof so are suitable for use in a birthing pool). If you are planning a home birth but require continuous fetal monitoring in labour, it is likely you will be advised to deliver in a hospital. 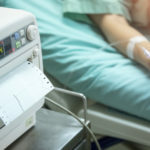 It’s common for the exchange of oxygen to the placenta to be interrupted during contractions and for your baby’s heart rate to dip during labour. This does not always mean they’re distressed; this is a normal response to a contraction and their heart rate should recover quickly. 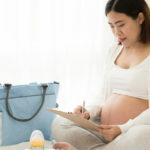 If your medical team is concerned about your baby’s abnormal heart rate, they may take a fetal blood sample, which is performed by taking a very small drop of blood from your baby’s head and testing its pH. If it’s abnormal, they may suggest a caesarean section or instrumental delivery. This topic contains 0 replies, has 1 voice, and was last updated by Vaughan Brown 6 months, 3 weeks ago.